The company starts in 1996 and is one of the leading and well-trusted professional sports bookmakers at the moment. The company owns a special internet platform that allows all the clients to bet no matter where and when they are. 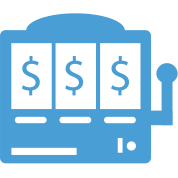 However, as this is pretty common among betting companies, Cashpoint offers over 5000 outlets and other venues where clients can make their bets in real. The company has a good presentation in Germany, Austria, Great Britain, Denmark, etc. The company has legal registration in Malta with VAT number: MT 21522715 and registration number C36107 / Registry of companies Malta. The authority that grants the license is MGA or Malta Gaming Author. The number of the license is 000-039624-R-319465-001, and the type of the license is MGA/CL1/845/2012,2/205/2005 from 19.01.2006. The popularity of the betting company is huge and becomes even bigger after becoming official sponsor VfL Wolfsburg in Germany. All online betting client have a huge options list to pick every sport or game they want to bet on. Cashpoint offer bets on football, basketball, tennis, handball, motor sports, cricket, power races and many others. On top of that casino games are also on every bettor’s disposal. There are live casino games, table games, video slots, ordinary normal slots, video poker, lottery games. Among all the games are named like Universals Monsters Dracula Online Slot, Starburst, spinal Grande and French Roulette. Live betting is available for all the clients who have accounts. 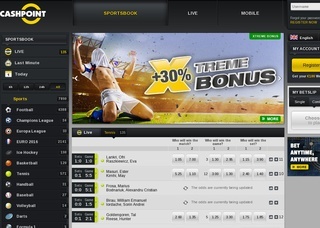 Sports in which they can bet are Soccer, Football, Tennis, beach volley according to the matches played at the moment. Unfortunately, the company does not offer live streaming of the events but if we think about the vast number sports, we’ll see that live streaming isn’t even an option. On the other hand, live statistics is available. They allow the bettors to follow the match very precisely and to take only the important bits out of it. To ease the betting, the people from cashpoint has their app, which once installed on your phone or tablet allows easier and more fast bets. The app can take installation on any device. The odds are very good and most players will be happy to wager with Cashpoint. Football betting is well developed and the options available are very extensive. The offered betting types are: 1×2, 1or2,winning a bet, handicap 1 2, Handicap 1×2, winning bet 1st Halftime, Halftime final score, Over Under, Goals in the game, Goals in game 6-way. Halftime more goals, goal- no goal, winners point advantage, head 2 head, set bet and team 1 scores, team b scores, Double bet, head-to-head, qualify, goal in 1st half, bets for cards and power races. Some of the options are exacta, trifecta, win, place, show, over/under, even/odd. Being very popular among people who love betting online and, therefore, operational with very big amounts of money, cashpoint make sure they have their clients passwords and accounts secured. The personal data of each client is protected and never transferred to any third party. Purely technically, the data is protected by the special firewall, which is like a shield to their websites on the internet. VeriSign encryption technology is another benefit offered by the bookmaker. And as a final and most secure way of protecting the bank accounts and the personal data of all the clients, cashpoint uses SSL encryption following the example of banks. The website offers several language options, which can be seen in the table. According the website, there is only one option to connect the people from the support and that is by e-mail. To make a sports bet, every client must make an account and then make a deposit. Making an account is pretty easy. Deposits can be made using a bank account, prepaid card, Paysafecard, Skrill or credit card. The last one can be MasterCard or Visa. A bonus which from the company stress on is that they do not charge the handling fee. With Moneybookers or Skrill, the deposit is made as soon as the transaction has been verified. Paysafecard allow immediate deposits. Paybox allow instant payments via phone. Pre-paid card – immediate deposit. Bonus card. When in Europe funds arrive in three to five business days. When outside Europe fund needs five to seven business days. A deposit to bank account continues for 3-5 days. The official currency of the bookmaker is the EUR, but an equivalent amount of money in USD can also come into use. There are bonuses for first deposit in the Casino. Member card where the gamer can collect 1000 cash points that then can spend wiser. Casino-bonus, cash points, and extreme bonus are the other options. 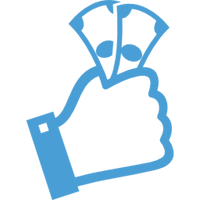 The extreme bonus is when the bettor makes a hard bet and guess; then the prize is 30% increase in the odds. Overall, Cashoint is a great sports online bookmaker which you have to try.